When was the last time you had a perfect day? Is there such a thing? If you don't know this already, life is complicated. Perfection is difficult to obtain. Some days though you feel like you get close, and I had one on Wednesday. Part of the reason that the blog has been relatively quiet of late is that it's summer in the Northwest and it's glorious right now. Makes sitting at your laptop difficult. I've taken the week off work and some teammates and I decided to go down to Mt. 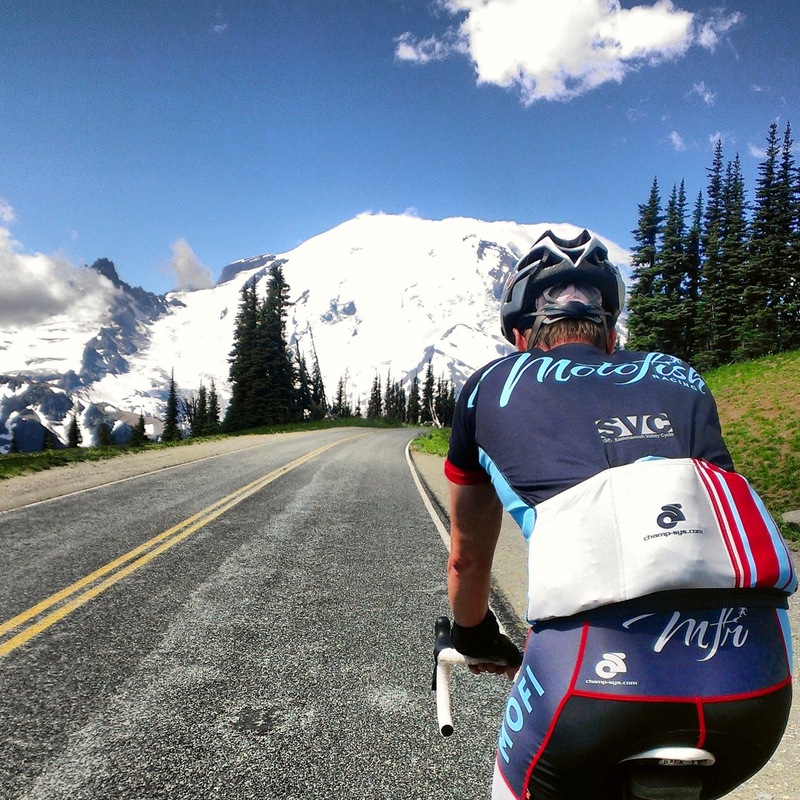 Rainier on Wednesday and ride our bicycles around some of the mountain passes. For the uninitiated this might seem like a bit of a zany idea but climbing for 14 miles at a time up to the 6,500 feet at Sunrise, is about as spiritual as it gets for me. There's a bit of suffering for sure but it's not really that difficult, you just keep pedaling and the views will help you get there. Good teammates and some pointed jokes along with some classically Northwest summer weather made for perfection. 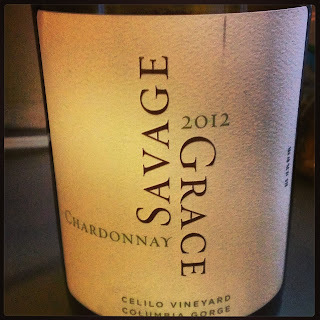 Today's Friday Find may be a perfect Washington Chardonnay particularly for the 2012 vintage. The Savage Grace wines are made in Woodinville and still fairly under wraps, but we're hoping to profile them in greater detail shortly. In a vintage with "hot" white wines, and by that I mean out of balance and high in alcohol the Savage Grace is certainly more graceful that savage. At 13.3% abv and with great acid you've got yourself a beautiful Chardonnay from Washington that drinks a heck of a lot like Oregon. Aromatics are rich with honeysuckle and ripe pear along with alfalfa and a touch of sweet hay. The palate is superbly balanced, flavors of apple, almond and hints of lemon zest accentuate the balance in Michael Savage's approach to this wine. The combination of fruit from one of Washington's coolest sites and winemaking that used both barrel and steel fermentation gives you excellent acid and mouth-feel. For just shy of $20 this wine is a steal and a great way to discover one of Washington's unknown gems, they don't even have a functional website yet. You can find the wine at Pike & Western as well as Soul Wine in South Lake Union.